The Customer experience is the defining line between companies that are prospering and those that are battling to stay afloat. Providing outstanding customer service is no longer a knee jerk reaction to complaints or feedback, in fact service teams proactively look for ways to enhance customer experiences. Meeting Customer expectations is a full-time commitment, companies and service teams need to be one step ahead. 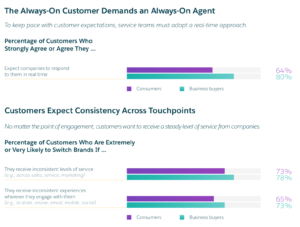 This report from Salesforce Research explains how leading customer service teams worldwide are continuously looking for ways to reach excellence. Here’s a brief look at four key findings from the State of Service Report put together by the Salesforce Research team. Delivering an exceptional customer experience requires a unified front across the entire company. 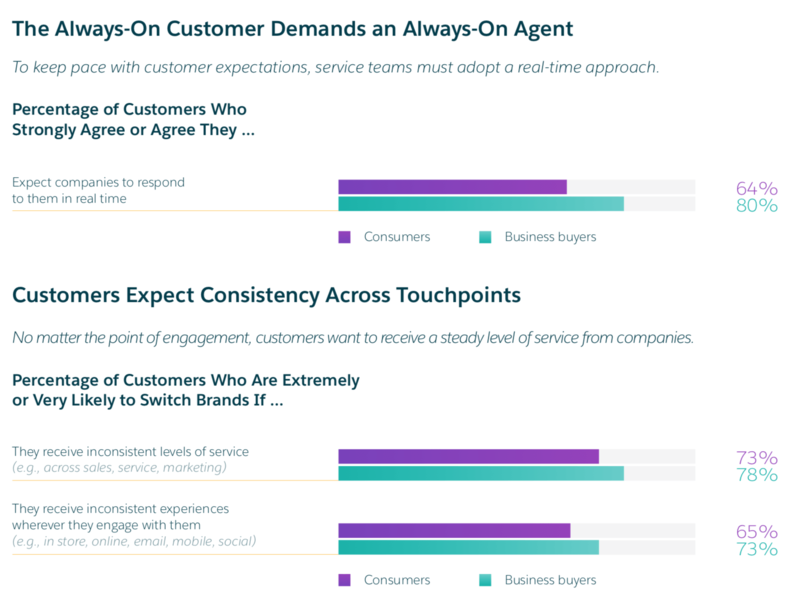 In this new dynamic, service teams not only respond to customers’ requests but increasingly function as additional sales channels and brand ambassadors. More than two-thirds (68%) of service teams say they’re leading customer experience initiatives across the business. Leading service teams are empowered not only with the right technology and tools at their disposal – they’re set up for success with training and a single view of the customer. 79% of service teams agree that a shared, single view of the customer empowers agents to provide consistency in every customer interaction. Service transitioning away from its position as a necessary cost centre. In todays customer-centric business landscape, service’s role has been elevated to one of an additional growth engine, generating new sales opportunities and improved brand experiences. 70% of service teams say their strategic vision over the last 12-18 months has become more focused on creating deeper customer relationships. While using technology to be more human in service interactions may sound counterintuitive, that’s exactly the direction that top ten teams are headed. To meet evolving customer expectations, service teams are doubling down on their use of smart tech. High Performers are 3.9x more likely than underperformers to say predictive intelligence will have transformational impact on their customer service by 2020. Successful businesses must now empower their Service teams and put processes in place to keep the intelligent customer happy. 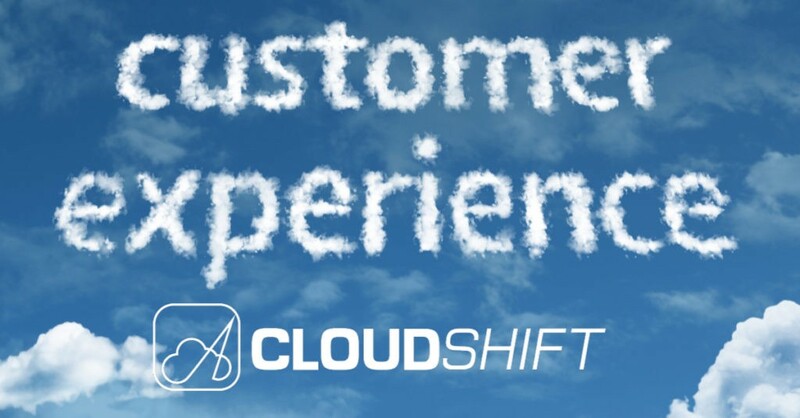 CloudShift makes the move to Cloud computing for businesses easy, we can bespoke a CRM system that can guide your Service team ensuring every customer has a positive experience. 2017 was a big year for Customer Service, 2018 is set to bring more change in the way service teams operate, Customer are becoming more demanding and expectations will only increase. Get a head start and see results in every aspect of your service process. Talk to our talented team to discuss your requirements.